Danny Dyer has rubbished claims the BBC is “dumbing down history” by allowing him to host a programme about his royal ancestry. The EastEnders star discovered in 2016 that he is related to Thomas Cromwell, Edward III, William the Conqueror and Henry III during filming for Who Do You Think You Are? Dyer, 41, will star in a two-part BBC history series charting his regal lineage, living out pivotal moments in his ancestors’ lives. He suggested people had been critical of the programme, called Danny Dyer’s Right Royal Family, for the sole reason that he had a “working-class accent”. He said: “I know there’s been a little bit of bad press around this, from people who haven’t even watched a second of it, about how the BBC is dumbing down history just because maybe I’ve got a working-class accent or whatever they want to say. “I don’t get it. Judge it after you’ve watched it at least. A lot of people might be bored of that boring history formula, and I think (this is) a different way to learn. 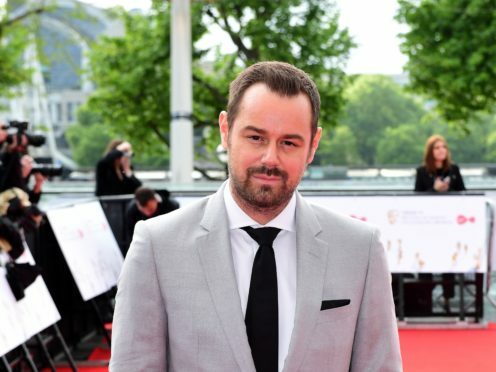 Dyer said he hoped the programme would dispel the “hard man image” he cultivated presenting series such as Danny Dyer’s Deadliest Men and The Real Football Factories. He said: “There was a reason I done (those programmes) and it was purely for money. It got me a nice little house and stuff and got one of me kids through private school. The actor and personality also revealed the new show will feature his daughter, Love Island winner Dani Dyer, dressing up as an Elizabethan princess, as well as his wife Joanne. He said: “I think it will be interesting, and a lot of my little Dani’s fans they’re gonna love it. You know, seeing her dressed up as an Elizabethan princess, and my wife as an Elizabethan queen. Danny Dyer’s Right Royal Family will air on January 23 on BBC One.